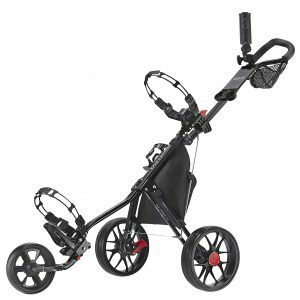 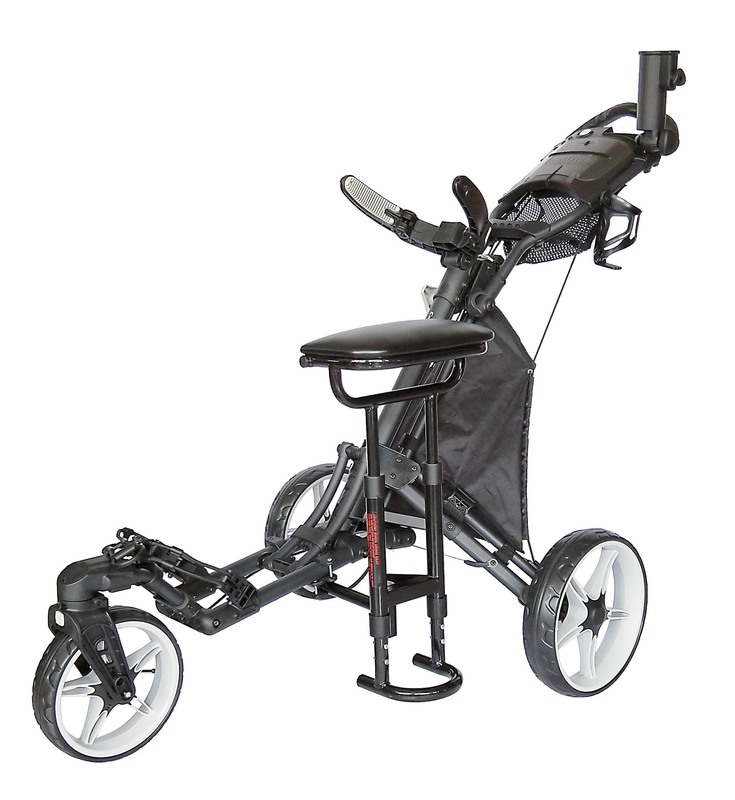 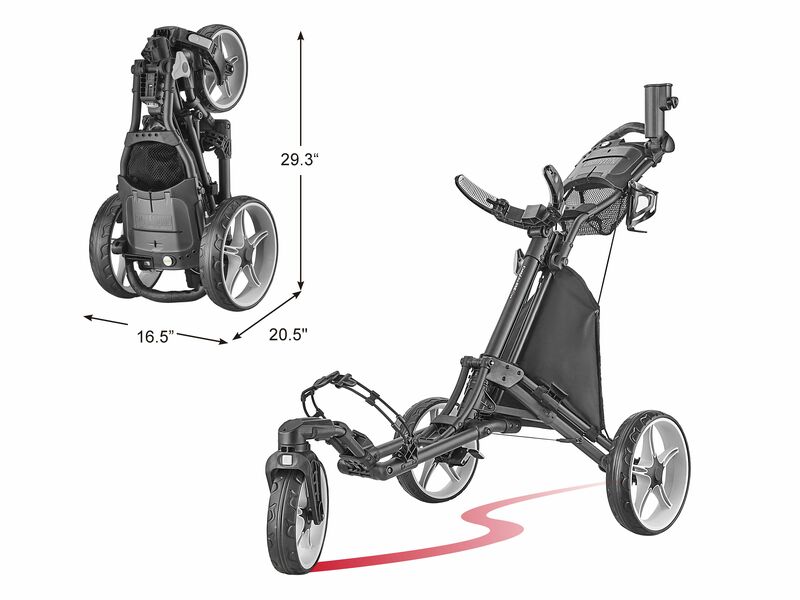 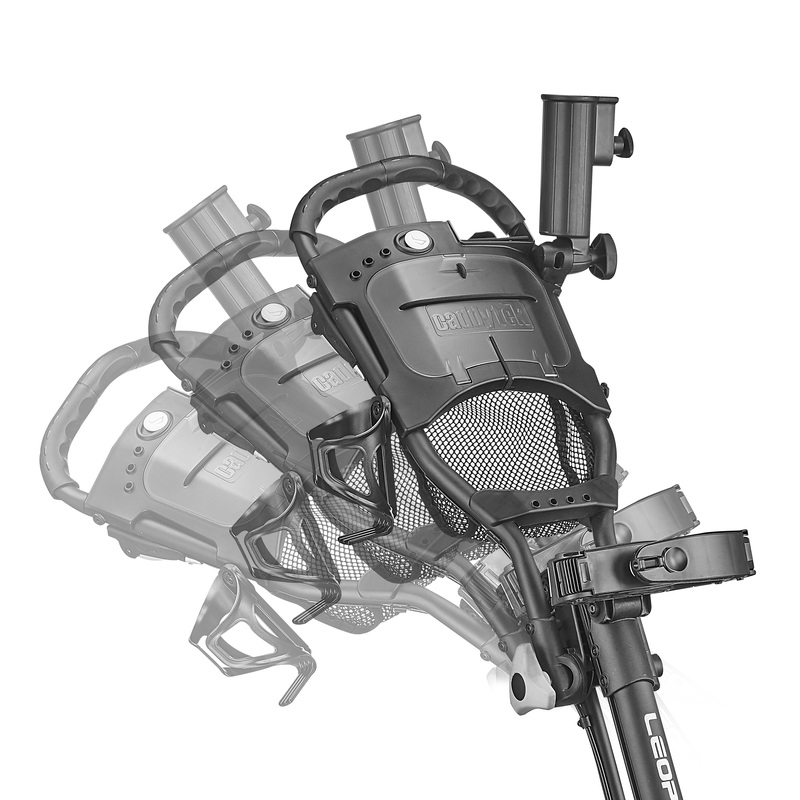 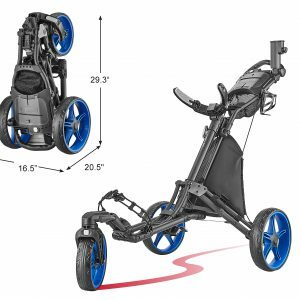 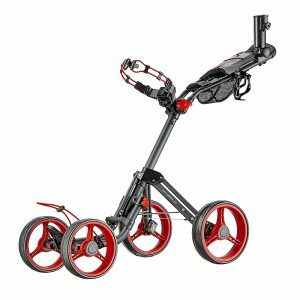 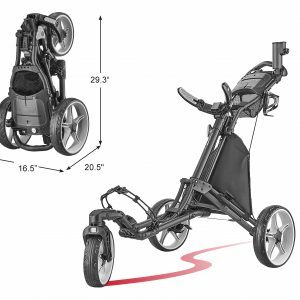 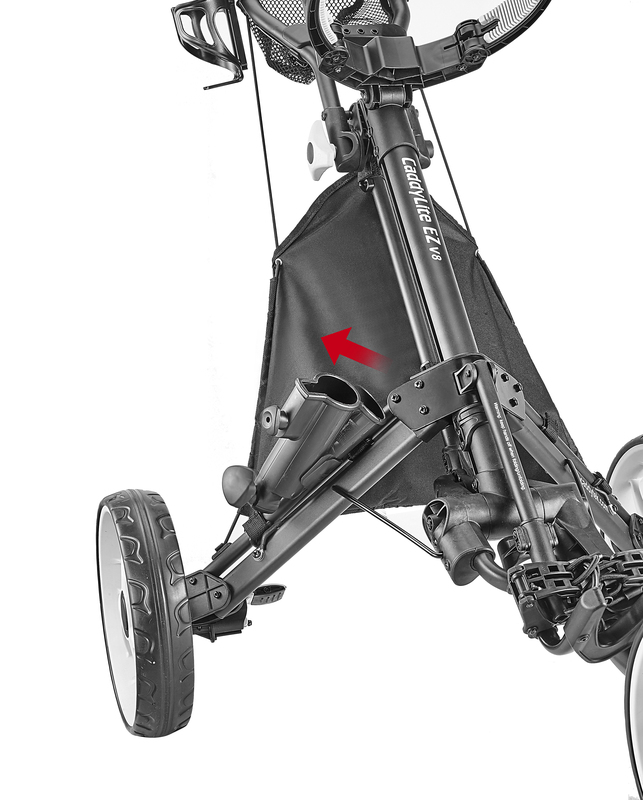 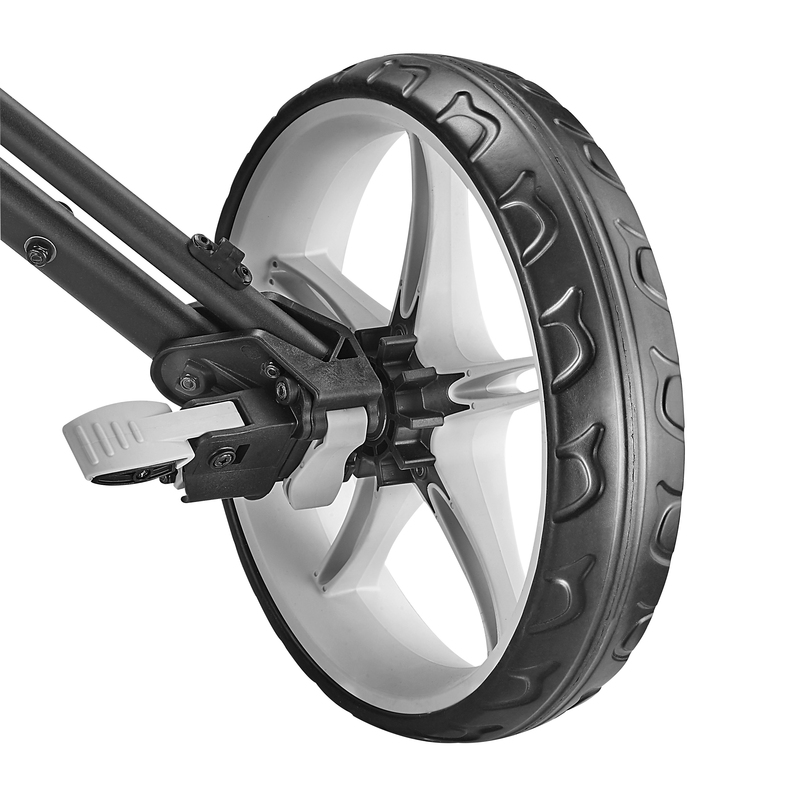 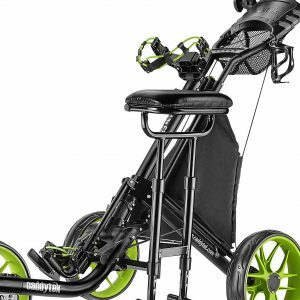 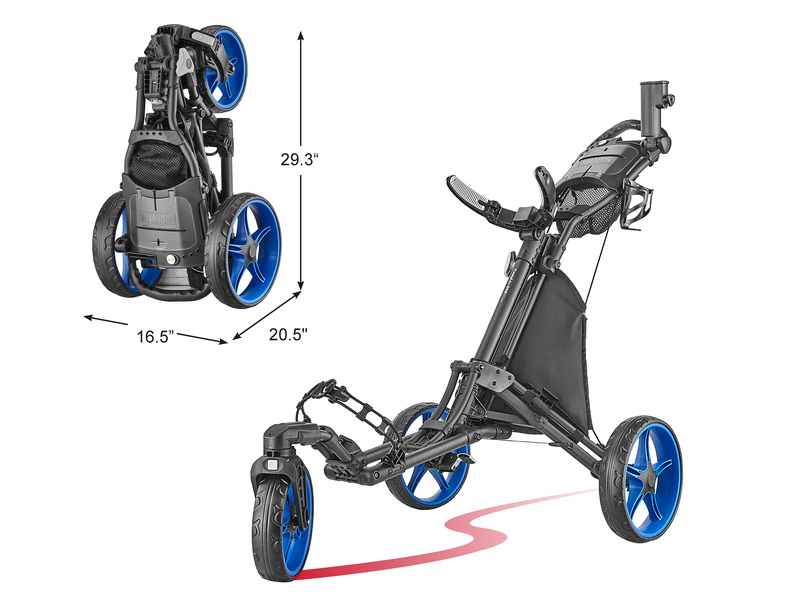 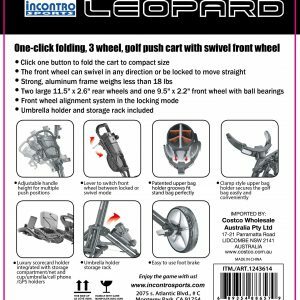 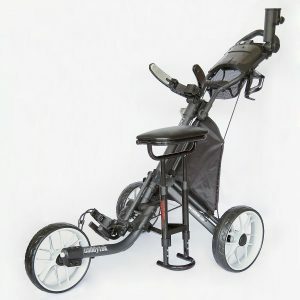 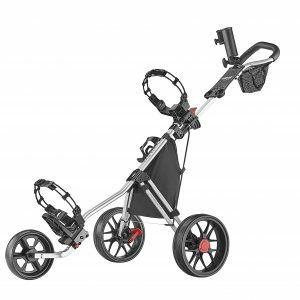 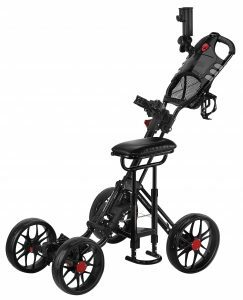 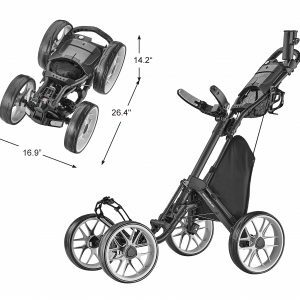 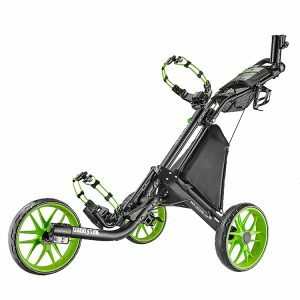 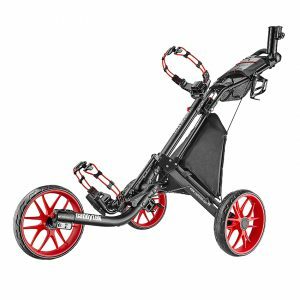 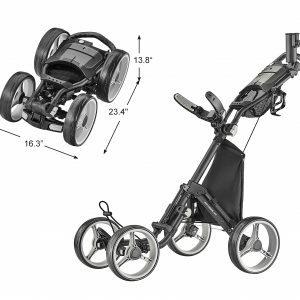 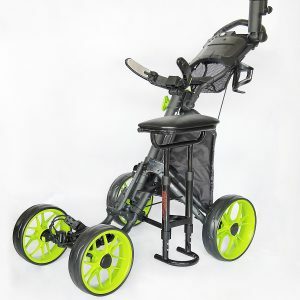 The unique one-click folding golf cart mastered by CaddyTek now comes with Swivel Front Wheel with locking mechanism. 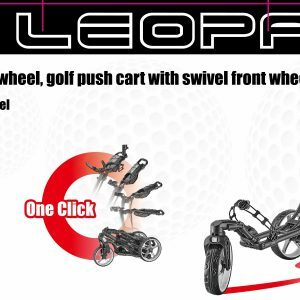 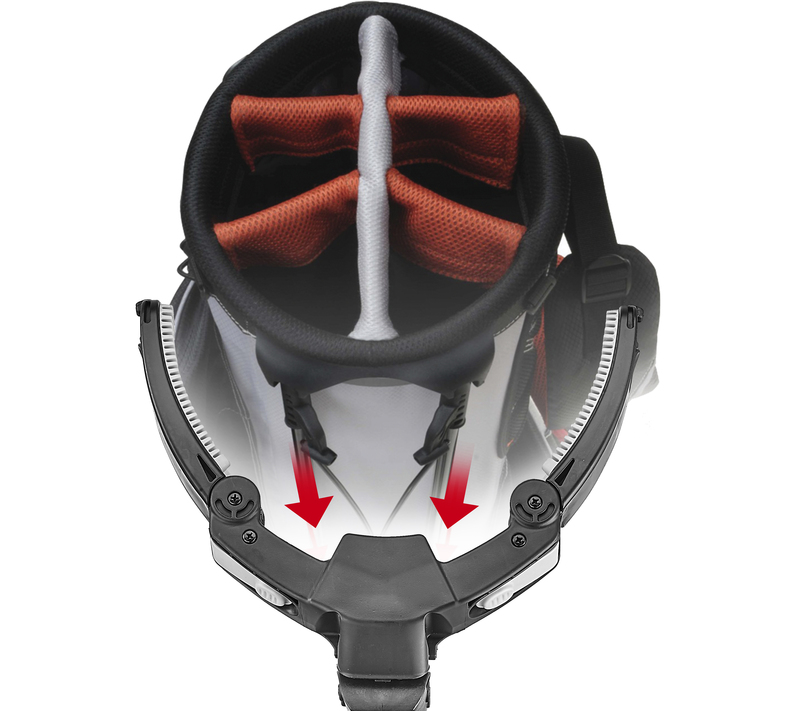 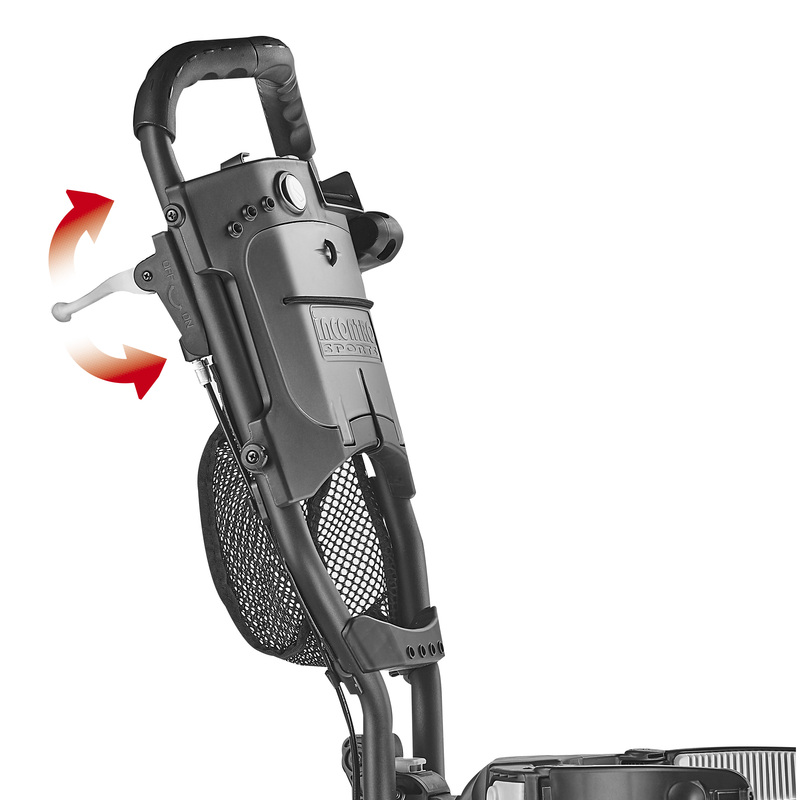 Golfers can switch between swivel or straight mode by toggling the lever on the handle to move on or off the golf course with ease and swiftly. No more awkwardness on the course as you cart your clubs around the green. 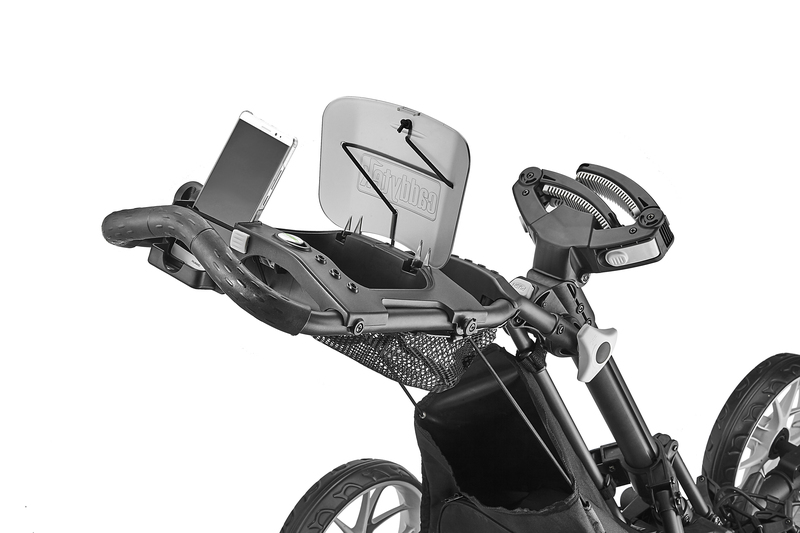 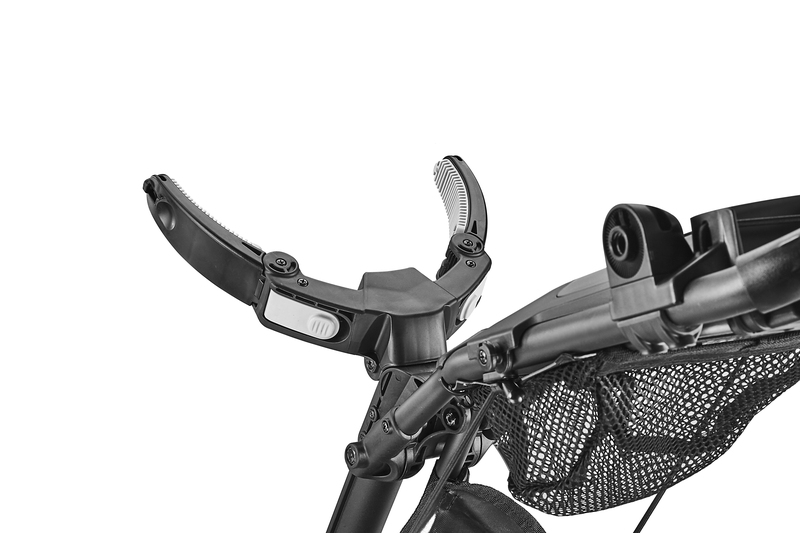 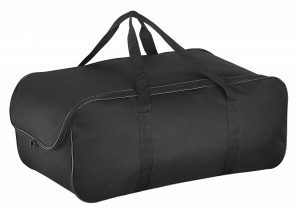 And smart features like a basket with built-in cooler, umbrella, scorecard holder and beverage holder fulfill the expectations that go along with a name like CaddyTek.